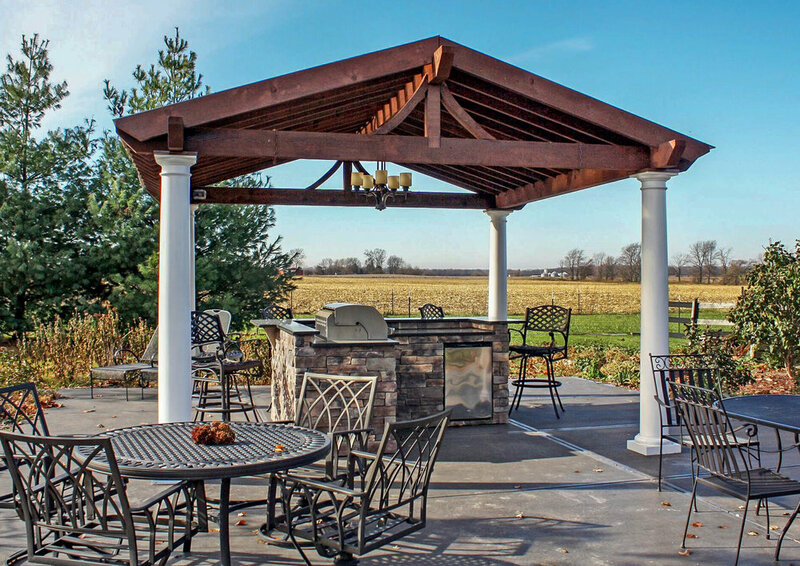 Traditional Tuscan pergola with custom outdoor kitchen. 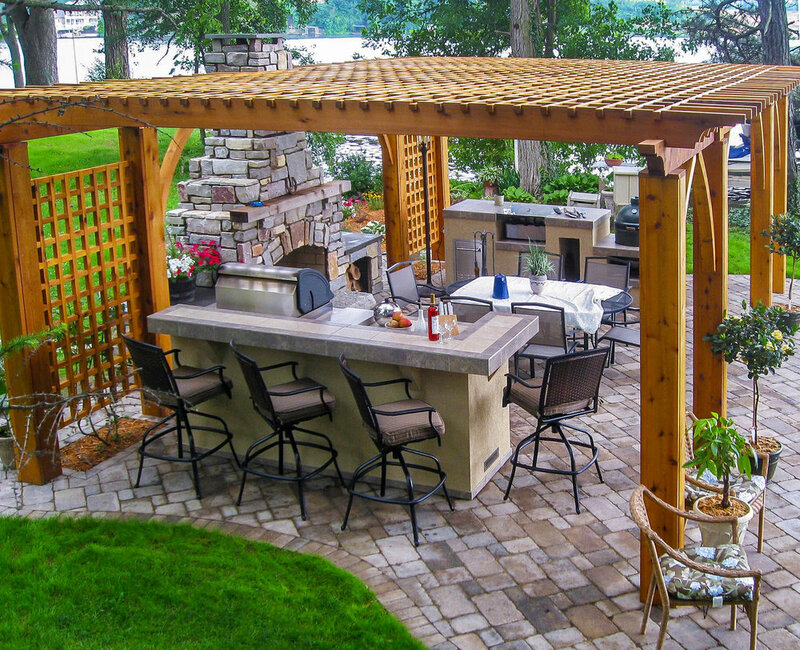 Rustic pergola with custom kitchen and smoker island. Wood burning fireplace with wood storage boxes. Rustic pergola paired with an 48” fire table and custom L-shaped kitchen. 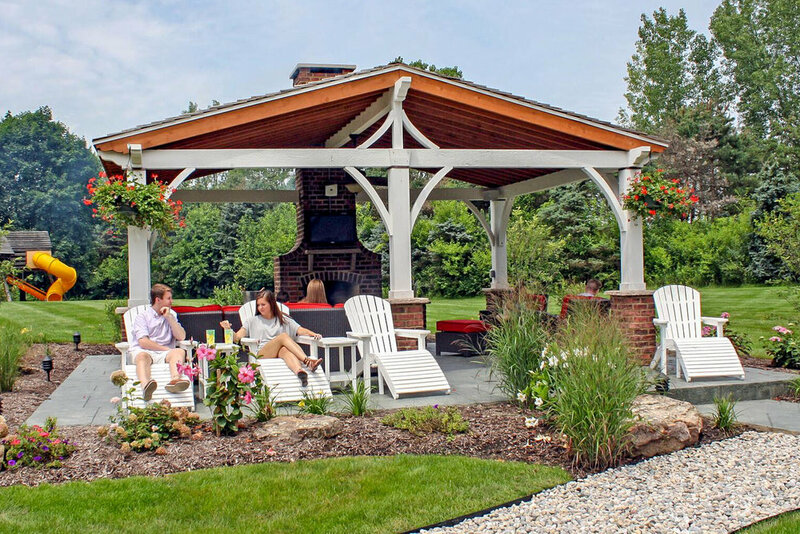 DSP3 pergola incorporated with custom wood burning fireplace. 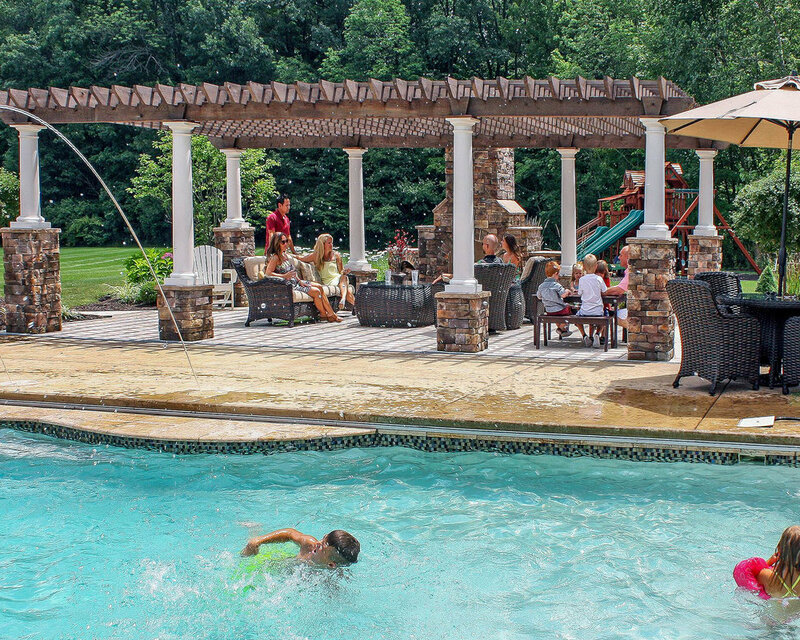 DSP3 pergola with custom smoker island kegerator and curvilinear outdoor kitchen. DSP2 pergola included with DFP3 fireplace with wood storage boxes. Custom DS3 outdoor kitchen featured with DSP1 pergola. 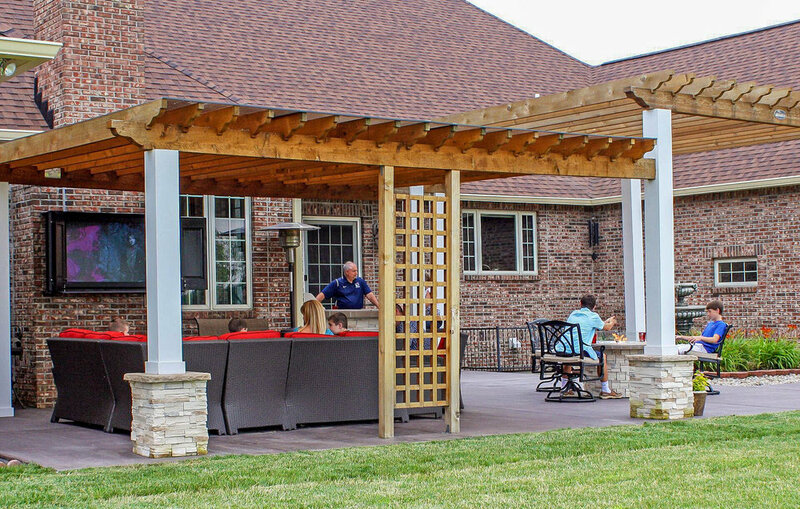 DSP1 pergola with fan kit and custom outdoor kitchen. DFP1 fireplace with wood storage boxes (differs slightly from photo).